Petra may be the best known Christian rock band of all time. This CD brings together material from their back catalogue to give you the very best of Petra. It includes, 'More Power to Ya', 'Praise ye the Lord' and 'Why Should the Father Bother'. 1 - Why Should The Father Bother? 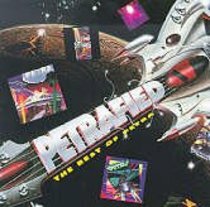 About "Petrafied-Very Best of Petra"